The new chief constable of Greater Birchester Police gives Det. Supt. Harriet Martens (A Detective Under Fire, 2004, etc.) two weeks to solve a 30-year-old murder. DNA evidence wasn’t available when Krishna Kumaramangalam was strangled back in 1968, minutes before he was to address his followers at the Imperial Hotel. Now, however, Chief Constable Newcomen takes advantage of the Imperial’s imminent demolition to demand that Harriet submit the seven suspects’ outer clothing to the police lab to ascertain which of them was sprayed with the Boy Preacher’s saliva in his dying moments. The case is a no-winner for Harriet. Either she’ll fall down on the job, or Newcomen will hog the credit for a routine review of the evidence. And she’s not at all pleased to find that the jittery constable seconded to help her is barely recovered from a nervous breakdown, or that two of the suspects—tabloid reporter Marcus Fairchild and Harish Nair, the Boy Preacher’s cousin and landlord—have already died. That leaves only five possibles: gasbag barrister Lucas Calvert, imperious teacher Priscilla Knott, crippled watch-repairer Barney Trapnell, indecorous Bubsy Willson, and sharp operator Sydney Bigod. Worse, the DNA results point to the one suspect Harriet’s convinced must be innocent. The case seems hopeless, unless of course Harriet has a providential dream that reveals the solution. 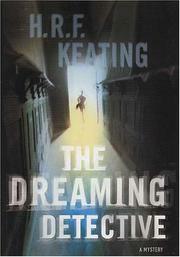 As thin a mystery as Keating has ever set, without the complexity of morals and motives that marks his best work.